After our Mt. 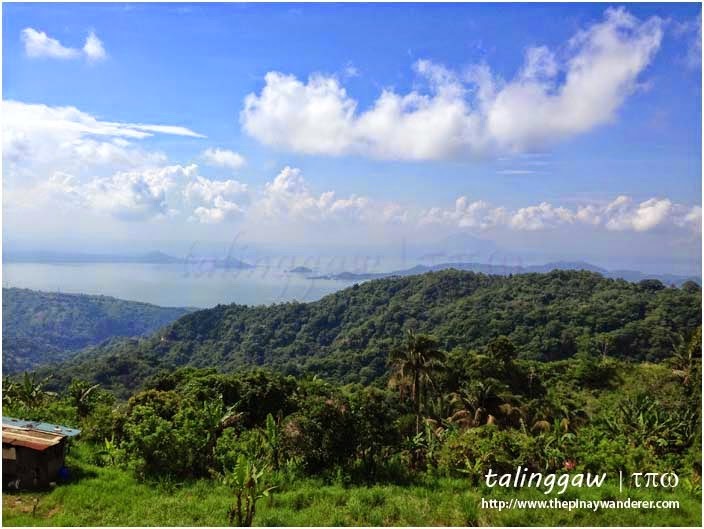 Batulao adventure, we went to Tagaytay to look for a place to stay overnight. It's actually our plan to stay in Tagaytay after the hike so we could explore the city's attraction that day and the next. But due to the unfortunate incident in Batulao, it took us a while hiking down 'twas already late when we reached Tagaytay. We don't have a specific place to go and just relied on google again for a nice but budget hotel to stay to overnight. 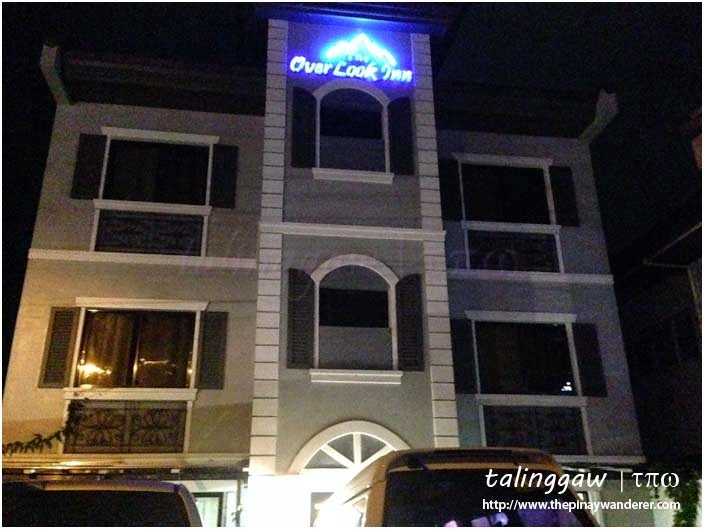 One of the budget hotels we found: The Over Look Inn. 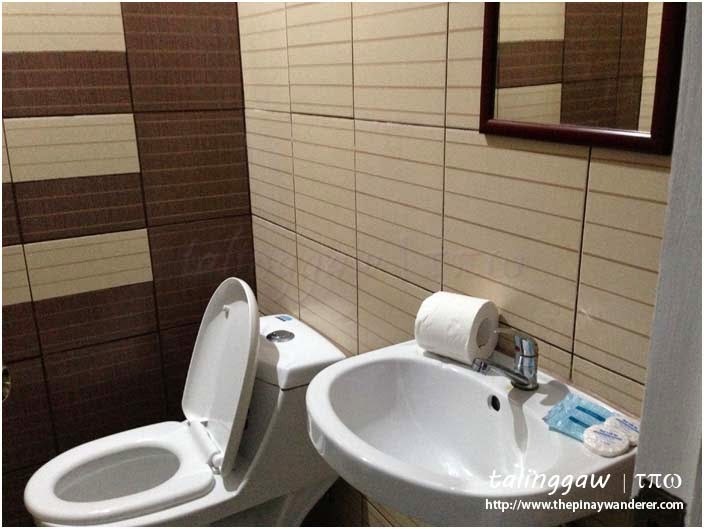 It is located very near Tagaytay rotonda and is along the highway so we went there. 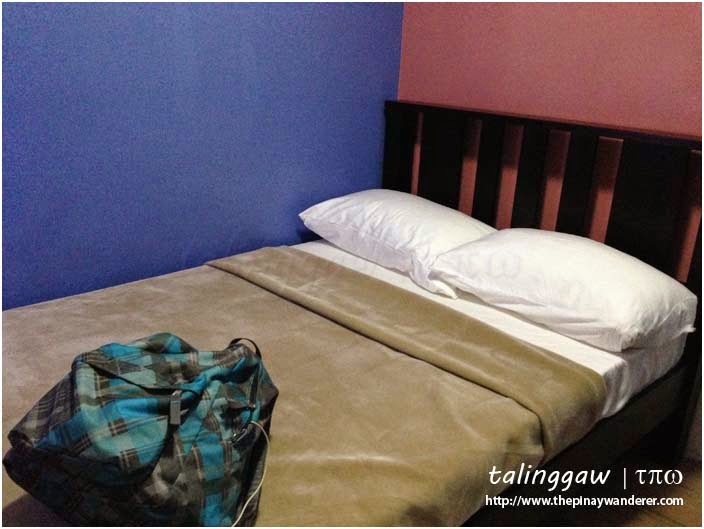 We inquired for a standard room for two, were told the cheapest room is 2,600 Php (complimentary breakfast for 2 included). We were tired, sweaty, grimy, soiled and all we want that time was to clean up and rest so we get the room. The Over Look Inn's standard room is very small (reminds us of the hotel we stayed when we were in Singapore during one of our escapades), maybe around 12 - 13 square meters in total area (including the bathroom/CR). It is air-conditioned, with a double bed and a small TV in it. 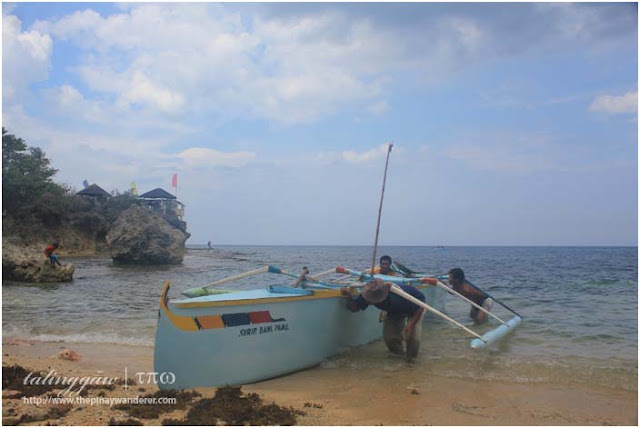 The bathroom/CR is equally small but basic toiletries (tissue paper, shampoo/conditioner, bath soap) were provided; with hot and cold shower, too. After checking in, we cleaned up ourselves and made the bathroom literally soiled because of all the mud on our hiking slippers (it rained during our descend from Mt. Batulao). After freshening up, we went out and look for a place to dine out (we didn't dare ask the receptionist for their dinner package, for fear it's expensive and probably, not worth the price; in short, we're on a budget hehe). We found a row of restaurants/eateries a few meters from the hotel, checked out their food offerings and decided to dine in one of them. I forgot its name but it's on the same building as that of Papa Frito's. 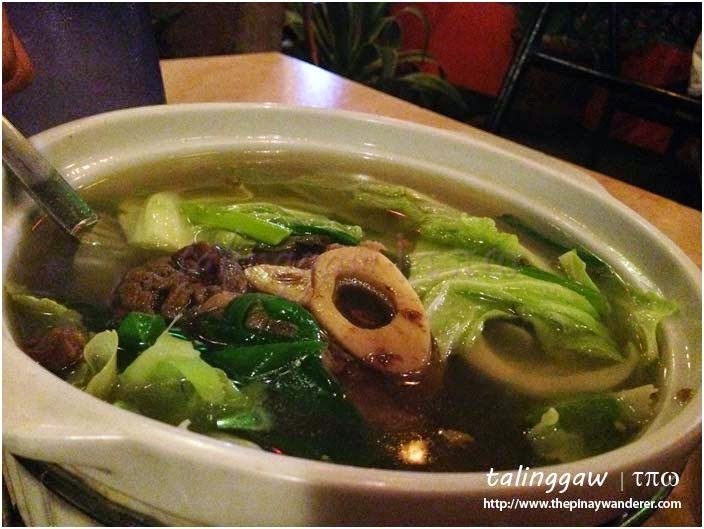 We ordered what else but bulalo (Tagaytay = bulalo?! hehe) and crispy tawilis. 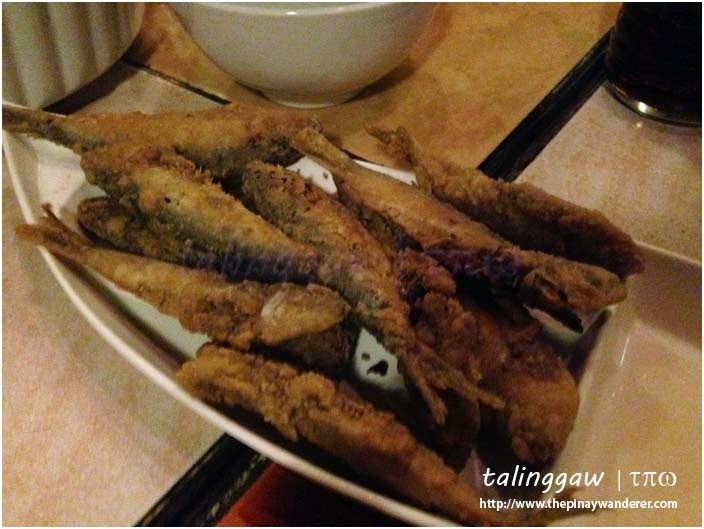 We enjoyed the meal, the serving is more than enough for us and the price reasonable. After the dinner, we walk back to our hotel and call it a night. But probably due to fatigue and the leg cramps, I got chills that night. I thought I caught a flu but thank God my friend is a girl scout, she gave me some medicines to take. The next day, I woke up fine with only sore legs to endure. We went to the hotel's terrace at the back where we were greeted with the view of Taal lake and volcano (see first photo above). 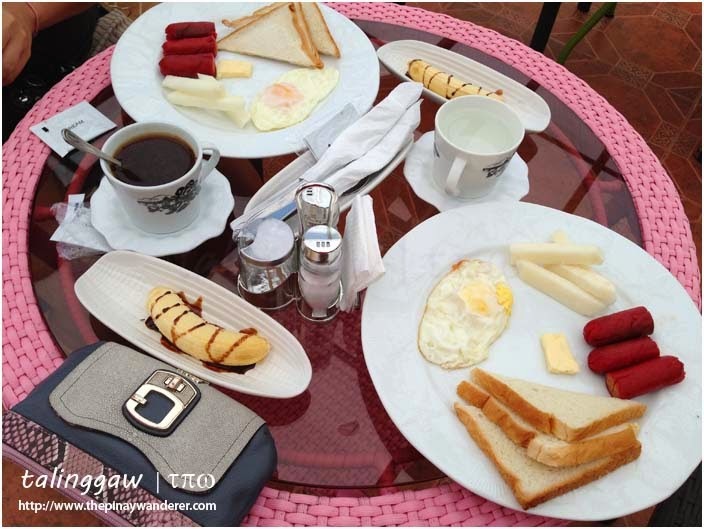 We took our breakfast there: fried egg, slices of bread, bite-sized sausages, a few slices of turnips and banana for dessert; instant coffee to wash down the meal.